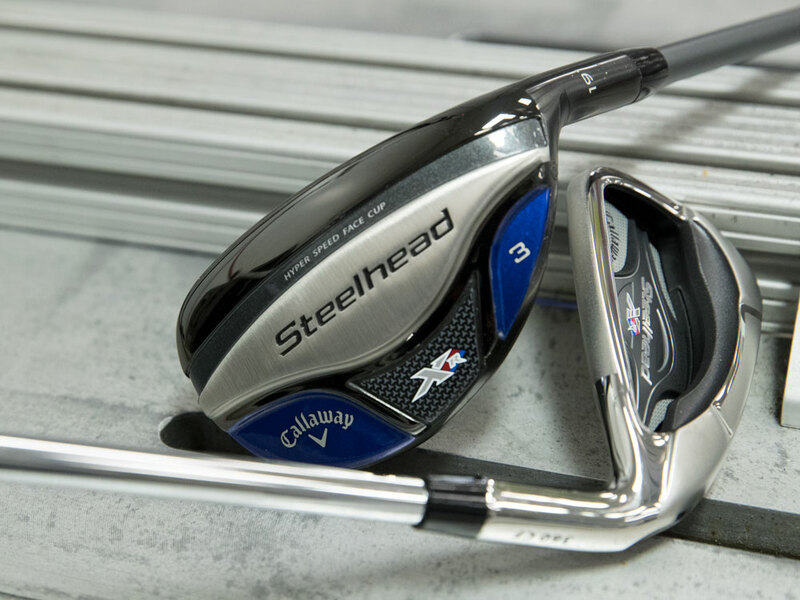 The Steelhead XR Combo Sets deliver signature shaping and breakthrough performance. Led by our industry-leading Face Cup technology, these irons and hybrids give you more ball speed across the face for more distance with great forgiveness and launch. 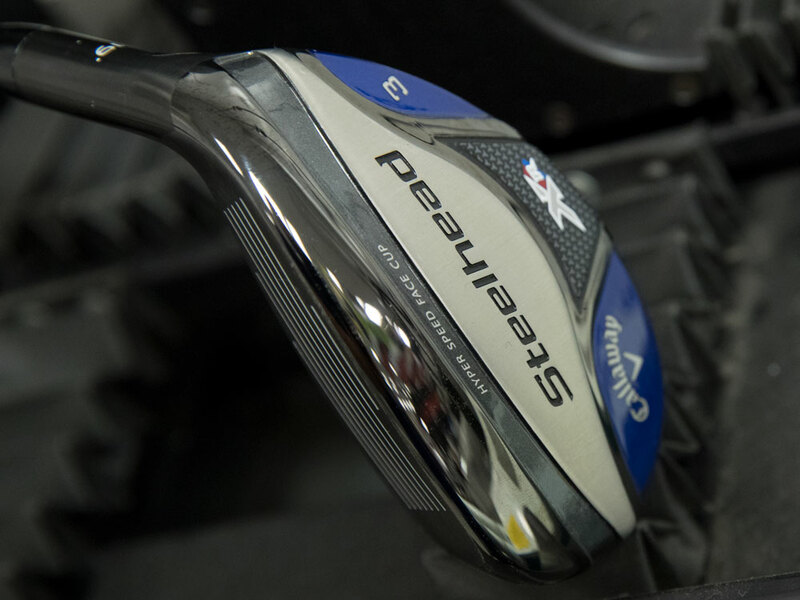 Steelhead XR Irons/Hybrids Combo Set is rated 4.9 out of 5 by 24. Rated 5 out of 5 by Callaway Man from Callaway "The Best" Just when you think Callaway has produced the best irons ever, they top themselves again. Ditto the hybrids. I got the rifle shafts in the irons and the distance and trajectory are fantastic. The distance and accuracy of the hybrids is also second to none. I feel confident hitting greens from 200 yards with my hybrids. Rated 5 out of 5 by Kelly from Very satisfied with these clubs and the service from Callaway I have been playing with an older set of Callaway Big Bertha irons and XR Hybrids and was looking for a 2nd set of clubs that would feel similar. These Steelheads are very forgiving and have given me additional yardage without sacrificing any accuracy. The irons and hybrids feel great and perform well. Rated 5 out of 5 by dtee from A great set of clubs This is by far the best set that I have ever owned. The lcubs are light weight and the springs off the face. I have improved my swing speed and accuracy. These are very forging clubs The hybrids are easy to hit and I am getting great distance. I purchased the graphite shafts senior flex. They are perfect for me . Rated 5 out of 5 by Wolfpack from Excellent clubs! I have only been to the driving range once and played 18 holes with my new Callaway Steelhead XR combo clubs (3H, 4H, 5-PW with Matrix graphite men's reg shaft) but I can tell that I like them very much and will use them many years. I am a 16 handicap. The irons are very forgiving and do go a little further than my 11 year old Cobra 3100 IH irons. The biggest surprise to me was the much improved feed back that I get from these irons - I can tell if my miss is a toe or heel hit and when I hit it in the sweet spot very easily. 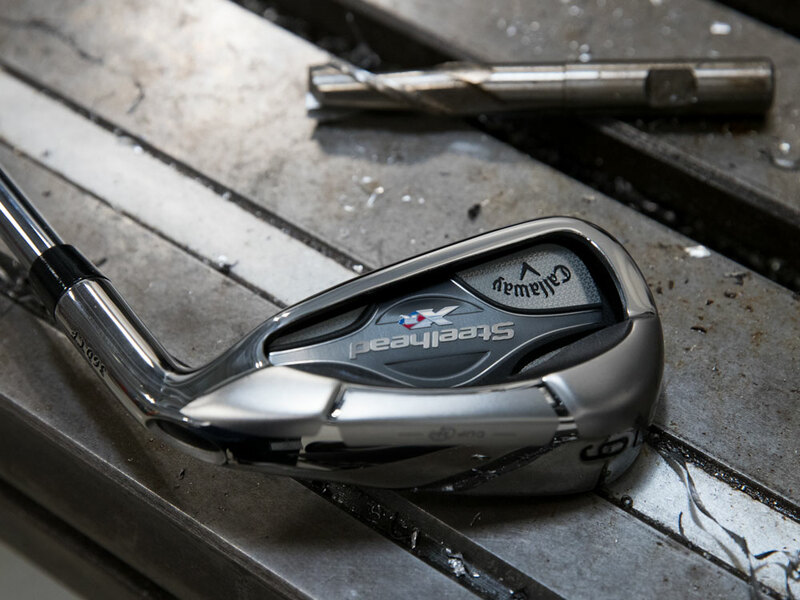 The irons have a head and sole that are a little smaller than average size for game improvement irons but, as I said, are still very forgiving. The hybrids are also easy to hit and go good distance. Good clubs! Rated 5 out of 5 by Golfman from Great Way To Add Distance & Accuracy After back surgery I lost approximately 2 club lengths in distance across my entire set of Adams max game improvement clubs. With a lot of practice I got a little bit of that distance back, but could not get back to my previous skill level. After trying several different brands of clubs at various vendor days, I bought the Steelhead XR Combo set of clubs. Literally overnight I am hitting the same distance I used to hit (before surgery) and even further. I gained 15-20 yards in length across the entire set of Steelhead XR irons, and gained 20+ yards with the Steelhead XR Hybrids over my previous hybrid clubs. My accuracy has also improved, especially when I hit my irons off-center. It is amazing to watch a toe-hit iron still travel almost 100% of the distance a good hit does and still fly extremely straight. I am hitting many more greens in regulation with great height. Bottom line these clubs are easy to hit, accurate, and offer significantly increased distance. The sound of the club hitting the ball is a bit different, but not a bad sound at all. I have lowered my scores significantly and expect to see them go even lower in the future. This is definitely the easiest swinging & best hitting set of clubs I have ever owned. Golf just keeps getting better! Rated 5 out of 5 by Super Dave from Great set for mid to high handicapper. The Irons and hybrids are easy to get in the air and forgiving on mishits. I would recommend this set to anyone looking to hit straighter shots with fewer foul balls. Rated 5 out of 5 by Boomer from Calloway Steehead Combo Irons-Graphite Just got these in last month. 6 rounds in and can see a great improvement in ball striking and distance. Very nice clubs. Great investment. Trade-In process was also very easy.